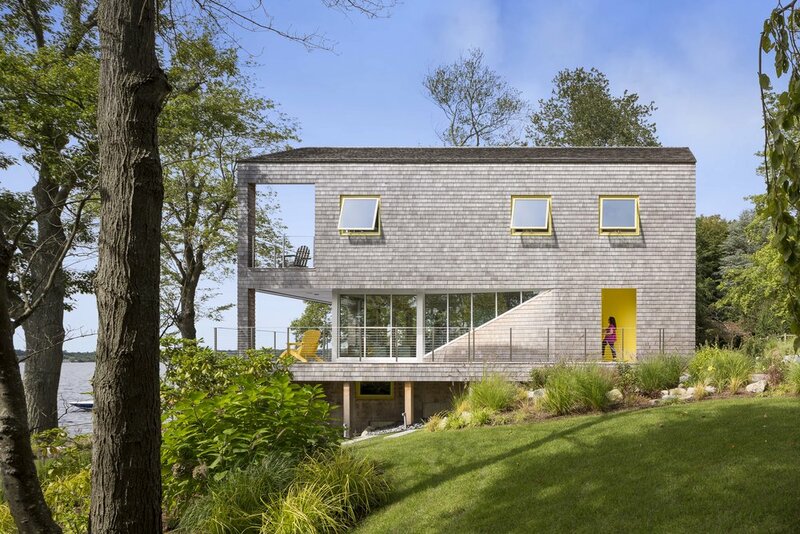 The house was designed to maximize views towards the lake, respond to the steeply sloped site, reference the local vernacular building language, and provide open public areas and outdoor spaces for the family to enjoy time together. The architectural composition is developed from two shingle wrapped series of spaces. The top series projects straight towards the lake and the bottom series follows the topography of the site. At the moment of divergence, the interior living spaces begin to open to the waterfront.